The Travis CI Blog: Welcome Ola! We continue to grow the Travis team and are very excited to welcome Olamide, our new accounts and controlling assistant. Olamide was born in Nigeria, studied in Singapore, and is now living in Berlin. An IT-savvy finance professional with a background in accounting, information systems management, and chemical engineering, Olamide is also currently studying finance and accounting processes with the Association of Chartered Certified Accountants (ACCA), a UK global accounting professional body. 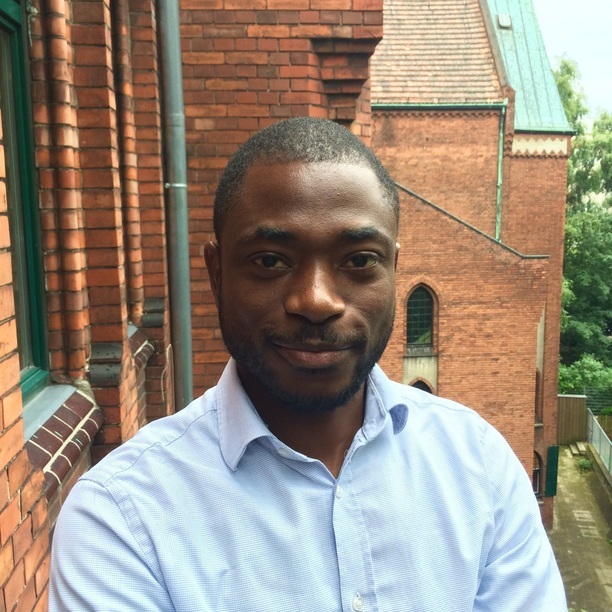 Olamide has previously worked in various German companies, including Schenker, Opel, and Eon, and is looking forward to joining Travis and sharing his considerable knowledge and experience. Outside of all this serious finance stuff, Olamide loves to cook, participate in outdoor sports, and spend time with his family. Help us give a hearty welcome to Olamide. We are super pleased he’s joining the Travis CI team.